This month, we chatted with racing legend Ken Schrader. To say that Ken Schrader likes vehicles is an understatement. 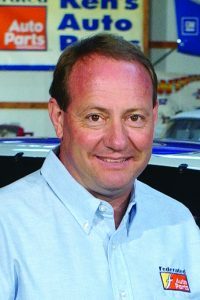 Throughout his motorsports career of more than 40 years, racing legend Ken Schrader has driven almost every kind of race car, including late models, modifieds, sports cars, sprint cars, Indy cars, and stock cars. As one of the sport’s most beloved and respected drivers, he has served in many other roles, including car owner, race track promoter, spotter, radio and TV commentator, and author. He also loves being on his motorcycle – and on the road in his RV. 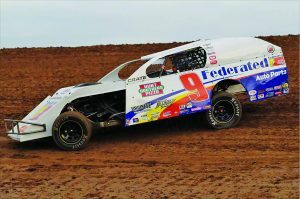 Schrader now operates and racesfor Ken Schrader Racing, Inc., with their race shop located in the hub of NASCAR country in Concord, North Carolina. The KSR team prepares cars here for the ARCA Series Presented by Menards, NASCAR’s Camping World Truck Series, and the K&N Series. A collection of cars driven by Schrader is on display, as are some of his trophies, racing memorabilia, and personal cars can also be seen. It’s open to the public year-round, Monday to Friday, from 8 a.m. until 5 p.m. (except for major holidays). KSR, Inc. and the Harrisburg Cruises, a local car club, also partner to create a very popular annual car show and fundraiser each fall. 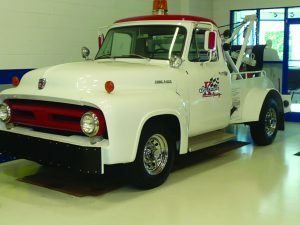 Schrader has also traveled extensively across the country serving as spokesman for Federated Auto Parts. 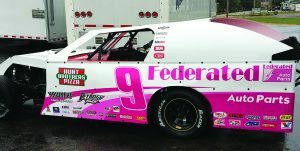 During almost two decades as a spokesman and driver, Schrader has met numerous Federated members and customers while visiting stores, hosting corporate programs, speaking at meetings, and – of course – driving his Federated Auto Parts modified race car as often as possible. Last year, he competed in 70 races and was on a similar pace for 2017. The business of racing keeps Schrader on the road more than 100 days every year. Please tell us about your current RVs, Ken. We currently have a 2015 Thor Four Winds Super C, a 2009 Siesta Sprinter, and a custom S & S Welding hauler out of Greenwood, Nebraska, for my dirt car. We’ve been RVing for years. How many days are you on the road? I’ll spend more than 100 nights a year in one of my RVs. My wife, Ann, takes off on her own in the Siesta Sprinter a lot, as well. I’m schedule to race about 70 times this year  and it’s either keeping me young or killing me and I don’t know the difference. What’s your favorite thing about travelling in your RV versus staying in a hotel? I’m at home no matter where I park, I feel like I’m at home. I have a Hot Diggity Dogger maker that cooks two hot dogs and browns two hot dog buns at the same time. It’s like a toaster. We’ve had it in every motorhome we’ve ever had. It’s pretty neat. I hope all of my highlights haven’t happened yet. There were so many days that you thought were unbelievably big and then something else would happen. For years, when we were running NASCAR, there was always a Suzuki in the pickup. It’s how I would get from the track to the airport after the race. It used to make some of them [the other drivers] so mad, because by the time they took a golf cart to a helicopter to fly to the airport, my Suzuki would already be parked there and my plane would be gone. You welcome visitors in your race shop in Concord, North Carolina, don’t you? Tell us about the popular car show in the fall. I’ve actually only been home for one. But, it’s something that they started to raise money and it’s grown quite a bit. What didn’t we ask you about life on the road that you’d like to share? It amazes me that, whether you’re at the racetrack or campground, when you have a problem, people come out of the woodwork to help you.